You may be wondering why Microsoft would offer a free version of SQL Server. Desktop Engine was introduced by Microsoft to bridge the gap between Microsoft Access and Microsoft SQL Server. 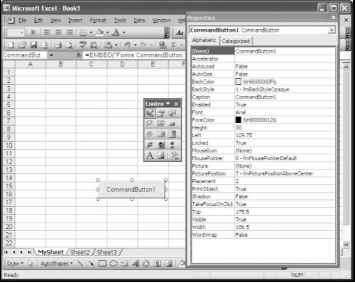 A large segment of existing applications use Microsoft Access as both the front end and the database platform. As those applications become increasingly popular, they start outgrowing the capabilities of Access. Many people may find themselves modifying code to port the applications to a SQL Server database. This can be a monumental task in many instances, with several data-type and SQL syntax differences. Desktop Engine is actually a small-scale version of SQL Server: It has a 2 Gig limitation and cannot have more than five concurrent users or transactions hitting the database at once. If your application does not need the capability to handle large database sizes or many users, the Desktop Engine version of SQL Server is a good choice. Some exceptions to this free licensing rule can be found in the licensing agreement that accompanies Desktop Engine and other versions of SQL Server. For example, under the terms of that agreement, if Desktop Engine is connecting to another SQL Server Database and is acting as the client, you must purchase a client access license for communicating with that other SQL Server Database. Desktop Engine allows companies to create demo CDs of their products much more easily. In the past, many companies had to write an Access version of their SQL Server application to include on the demo CD so they would not violate the licensing agreement of SQL Server. Alternatively, they included links or files to download trial versions of SQL Server in order for their demo to work. Because Desktop Engine is a free distribution version of SQL Server, you can now easily create demo CDs for demonstration purposes without rewriting any code. The biggest advantage of using Desktop Engine is that you don't have to make any modifications to your code (SQL statements, table structures, and so on) when you upsize later because of database size or concurrent users. You just purchase the more powerful version of SQL Server and import the prior database to the new installation without modification. Thus, when your application becomes extremely popular and needs the power of the higher, nonfree versions of SQL Server, you will be ready.